Introducing, the RICH by Rick Ross Collection. 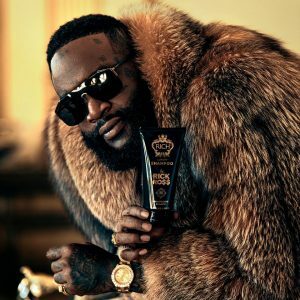 EVERYDAY HE’S HUSTLING… Well-known for his hustle, Grammy-nominated Rick Ross has spent a decade+ at the top of the rap game. He’s also gained as much – if not more – notoriety as one of the industry’s top style icons…with the best beard in the game. 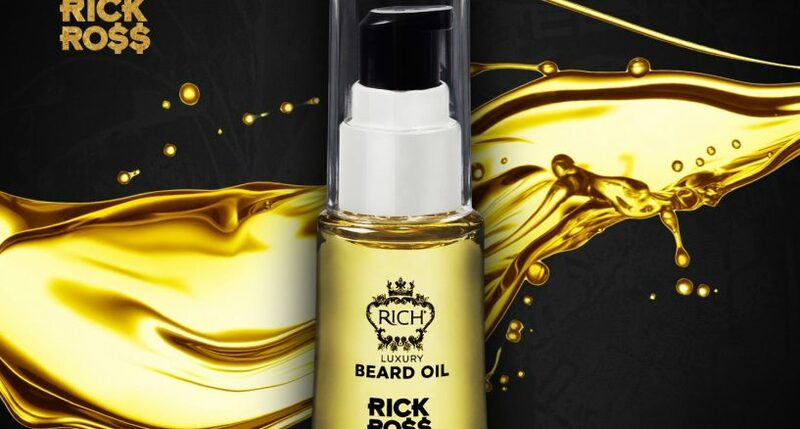 So, when it came to his next business project, creating a collection of grooming products with as much swag as Rozay was his only logical next step. 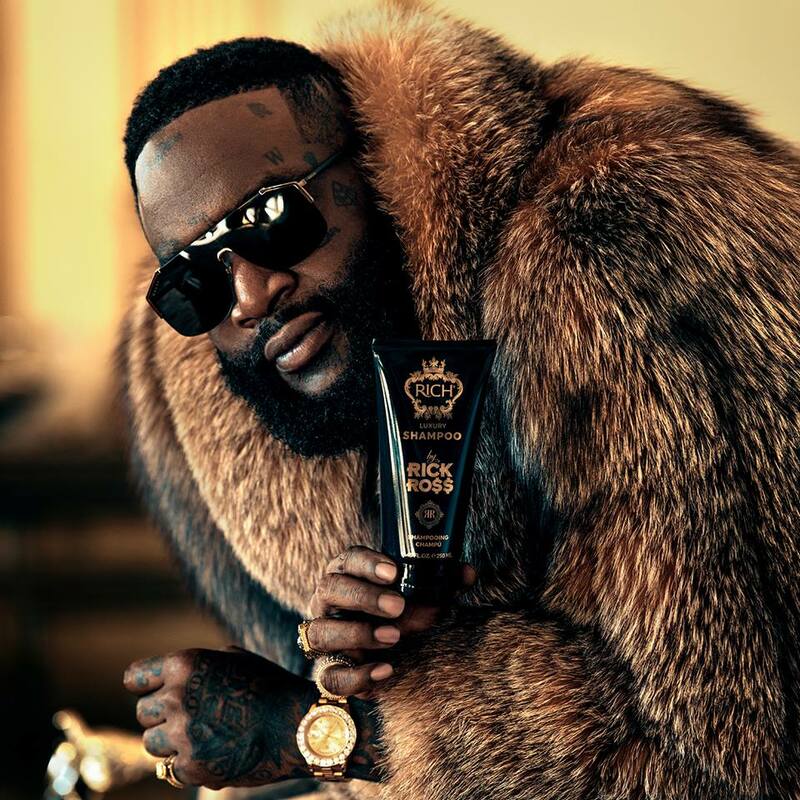 The nine-piece line, which will consist of a Luxury Beard Oil, Shampoo, Conditioner, Hair & Body Wash, Styling Gel, Shaving Cream, Aftershave Balm, Classic Pomade and Strong Styling Wax, will all retail for $12.99 to $15.99, so every guy can afford a taste of the #BossUp lifestyle. 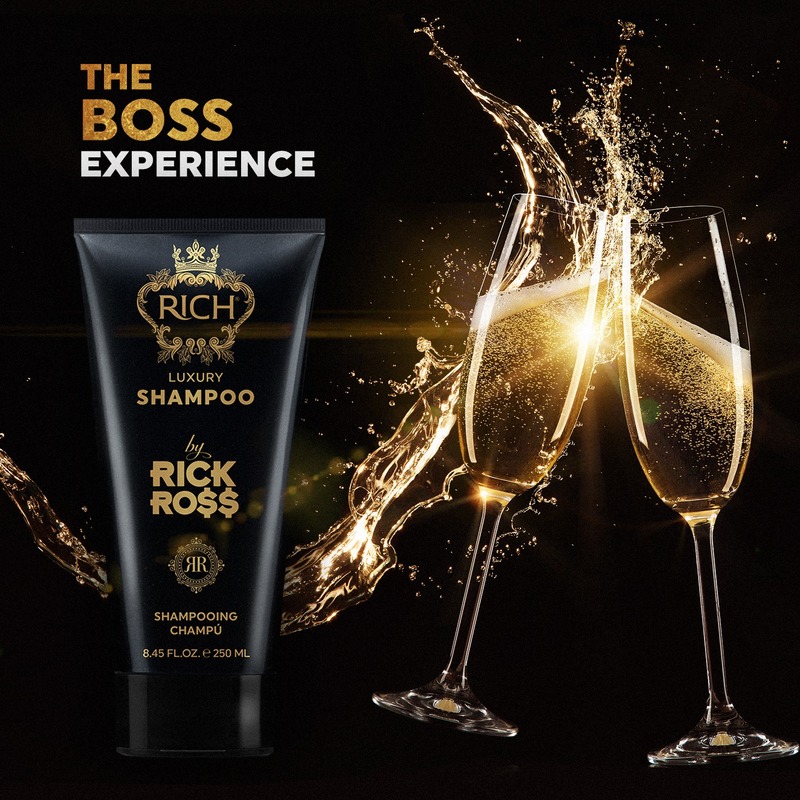 Champagne Extract – Contains antiaging antioxidants and a small amount of proteins that help to remove impurities, repair and rejuvenate damaged hair and reduce hair loss. Caviar Extract – Fortify, moisturize and provide antiaging and UV-protectant benefits to hair and skin instead, thanks to an overload of amino acids, vitamins (D, A, E, B12), minerals (sodium, potassium, phosphorus, magnesium and calcium), omegas (3 and 6) and essential fatty acids. Hemp Seed Oil – This ultra-moisturizing and emollient oil helps to calm, soothe, plump and hydrate tired, dry skin & hair, while also balancing oil levels and providing antiaging benefits. *Luxury Shaving Cream and Aftershave also include the addition of Kona Coffee – one of the best and strongest antioxidants that also helps improve skin’s appearance and hydrates. 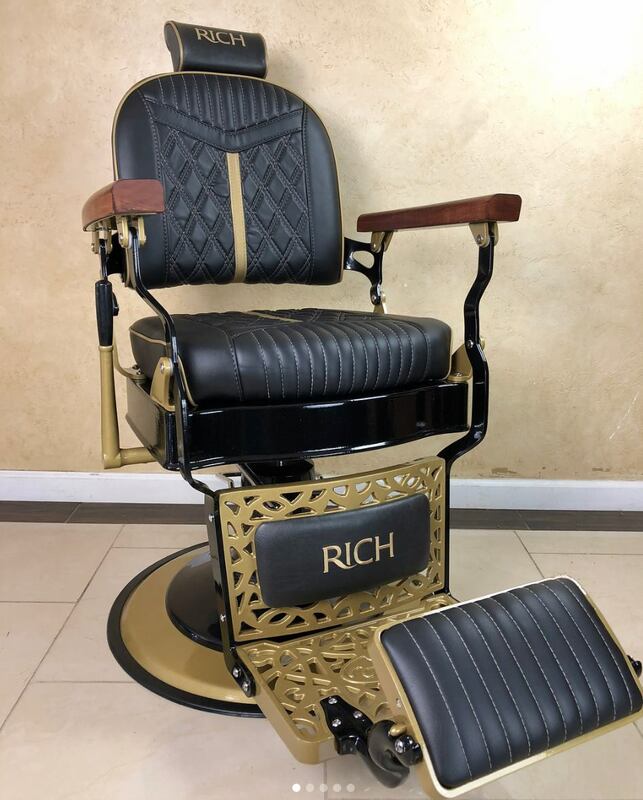 A pre-order of the RICH by Rick Ross collection in a VIP briefcase is currently available on www.RICHByRickRoss.com; limited quantities of individual products will also be available in May 2018. National rollout will begin July 2018.